An Israeli MP has refused to respond to criticism – after referring to a Pride event as an “abomination parade”. Earlier this month a 16-year-old girl died and five other people were wounded, after an ultra-Orthodox Jewish man went on a stabbing rampage during Jerusalem’s Pride parade. 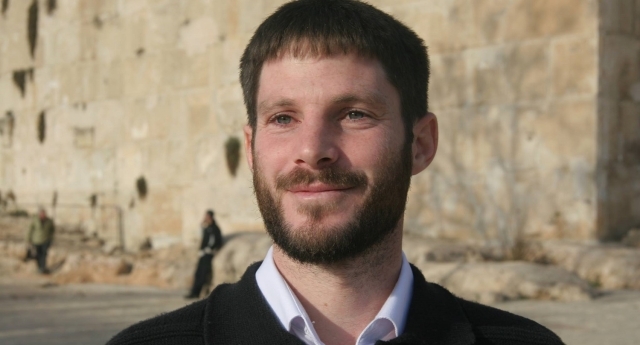 However, rather than respond to the issue sensitively, right-wing MK Bezalel Smotrich of the Jewish Home party refused to stop referring to it as an “abomination parade”. However, according to Arutz Sheva, the politician has ardently refused to apologise for any of his comments. After a complaint was filed with the Ethics Committee, he said: “I don’t think I need to respond to every piece of populist nonsense put out by an organisation looking for publicity. It is not the first time the politician has been caught up in a homophobic controversy – he organised the anti-gay ‘Beast Parade’ in 2006 to protest a Pride march. Thankfully, his disturbing approach to the stabbings hasn’t been mirrored elsewhere in Parliament. Meanwhile, MK Tzipi Livni has proposed a number of new LGBT rights laws, named in memory of murdered teen Shira Banki.